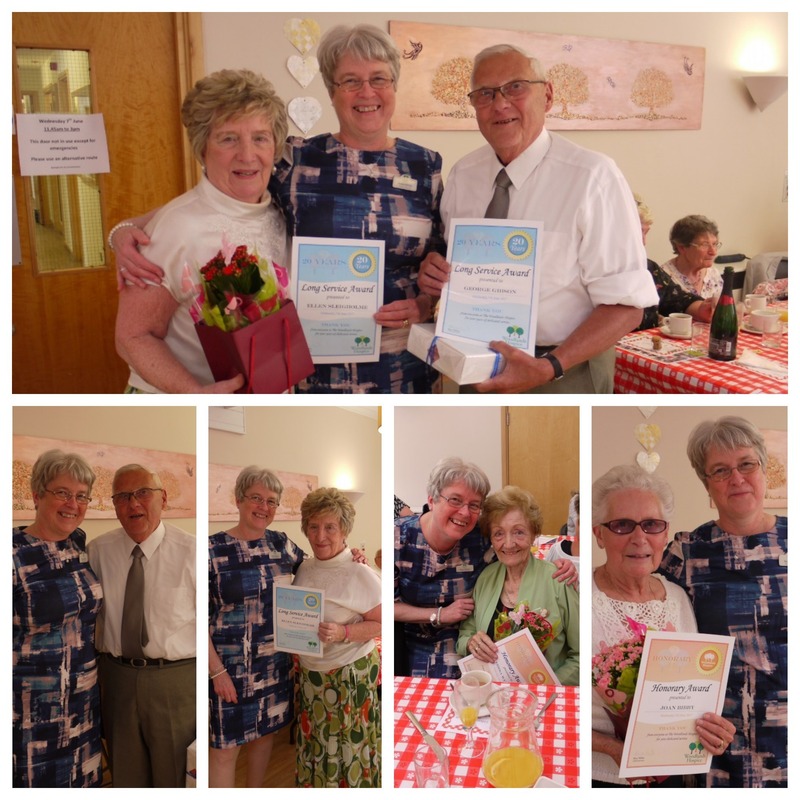 We hosted our annual Volunteers Party on Wednesday 7th June to celebrate the achievements of all our volunteers and thank them for their dedicated service. The party followed National Volunteers Week, which took place this year from Monday 29th May – Saturday 3rd June, when volunteers across the country are celebrated for the good work they do. This years’ theme was a Picnic in ‘The Green’ – hosted in our aptly named onsite café, The Green. 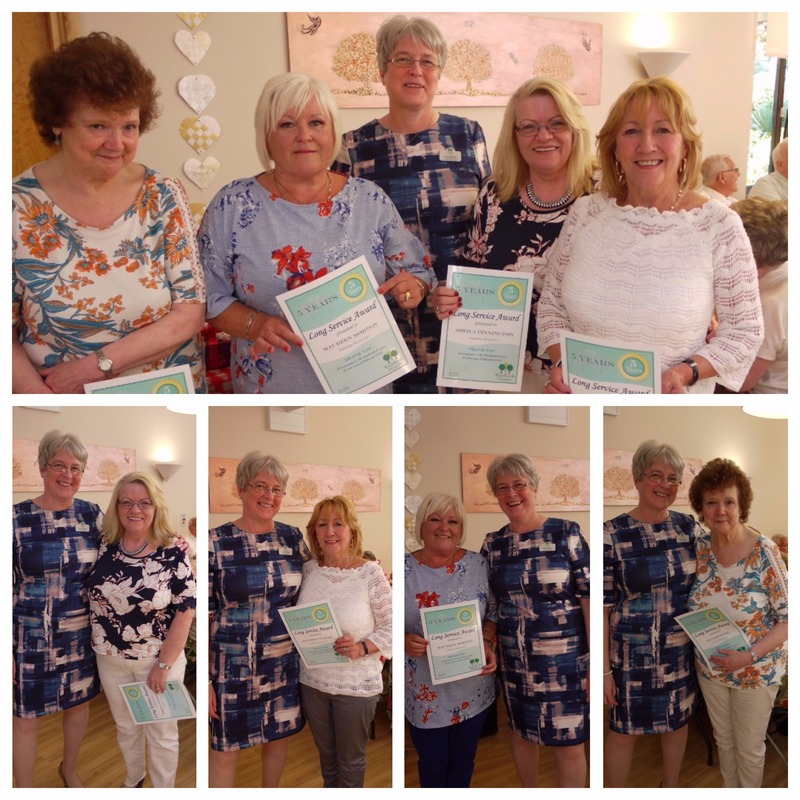 The afternoon’s festivities included awards for volunteers who have reached long service landmarks, including 5 years, 10 years, 15 and 20 years’ service at Woodlands Hospice. 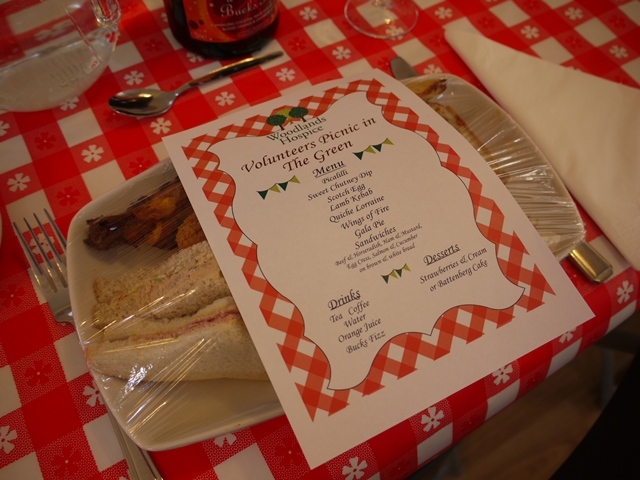 A ‘picnic’ lunch was served by our wonderful catering team and a raffle called with various prizes donated by staff. Chief Executive, Rose Milnes, stood before handing out the awards and thanked all of the volunteers for their hard work and dedicated service. Rose highlighted in her speech how important their volunteered time and work is to ensuring Woodlands Hospice is able to successfully provide the high quality care and support to its patients and their families. 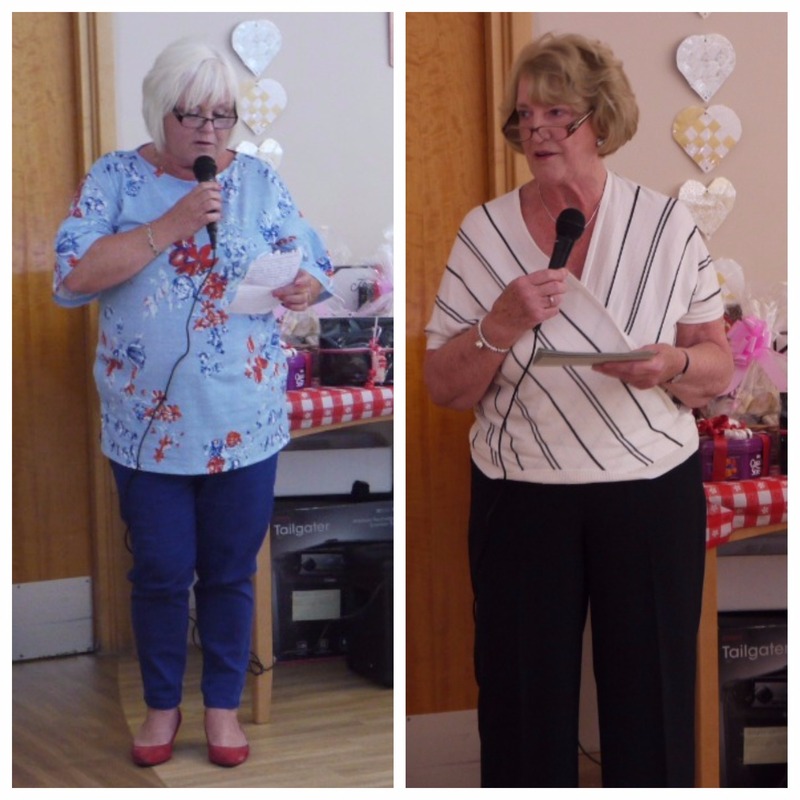 Two long serving volunteers also delivered moving speeches on why they choose to give up their time to help at Woodlands Hospice. Maureen Morton, who has just received her 5 years’ service award, spoke about how much she enjoys her work at Woodlands, and how she loves to get involved with the various events and fundraising opportunities wherever she can. Fellow volunteer, Barbara Moore, who’s been volunteering for almost 20 years, followed Maureen by speaking of fond memories of the various roles she has had within the Hospice over her many years of service. On why she chooses to volunteer, Barbara simply stated how much she enjoys helping others, highlighting the amazing selflessness that all our volunteers’ display. 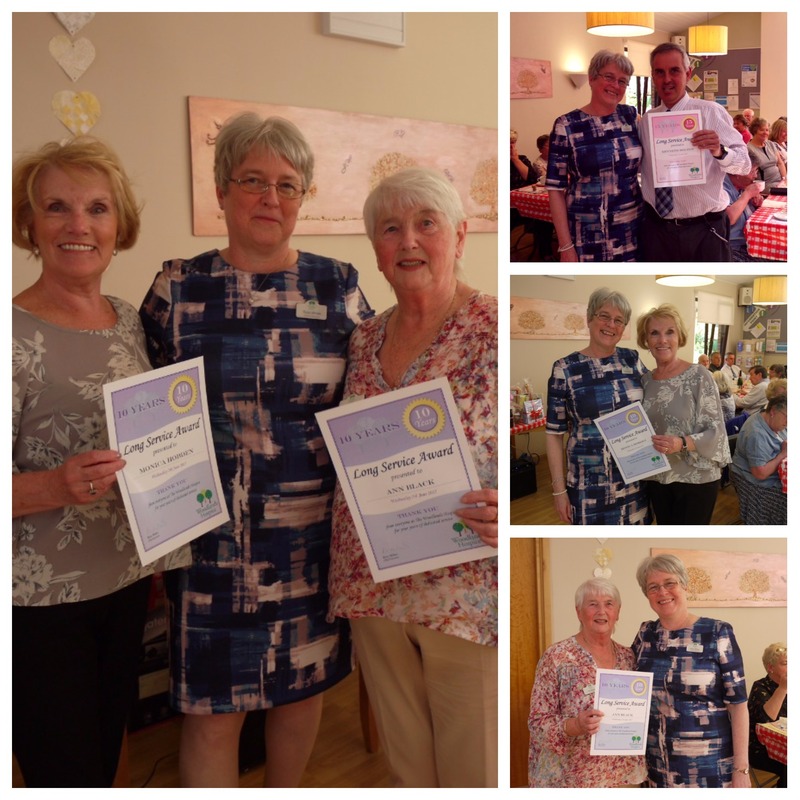 The event was organised by our Admin and Volunteers Services Manager, Ruth Garrett. 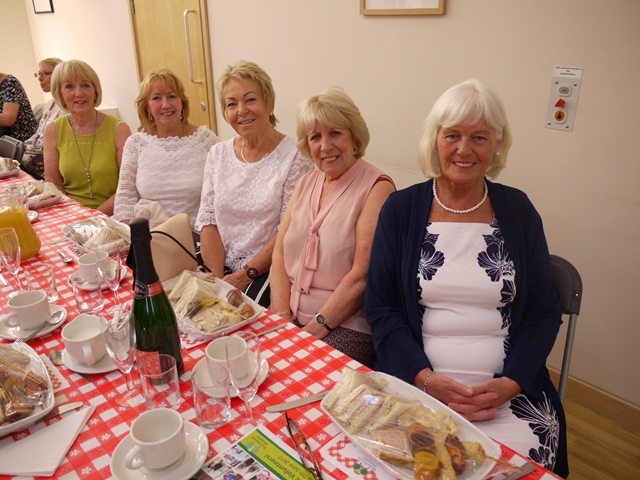 Ruth was delighted with how the party turned out, commenting, “It was lovely to see our Volunteers enjoying themselves. It is so important to recognise the valuable work they do each year and show them just how much everyone at Woodlands Hospice appreciates them.” Ruth also had a helping hand from employees of the local Marks and Spencer Aintree store in preparing for the party, donating their time and £500 towards supplies. Once again, we’d like to extend a huge thank you to all of our Volunteers for all that they do and hope they enjoyed themselves as much as we did! For more photos from our Volunteers Party, you can view our Facebook Album here.